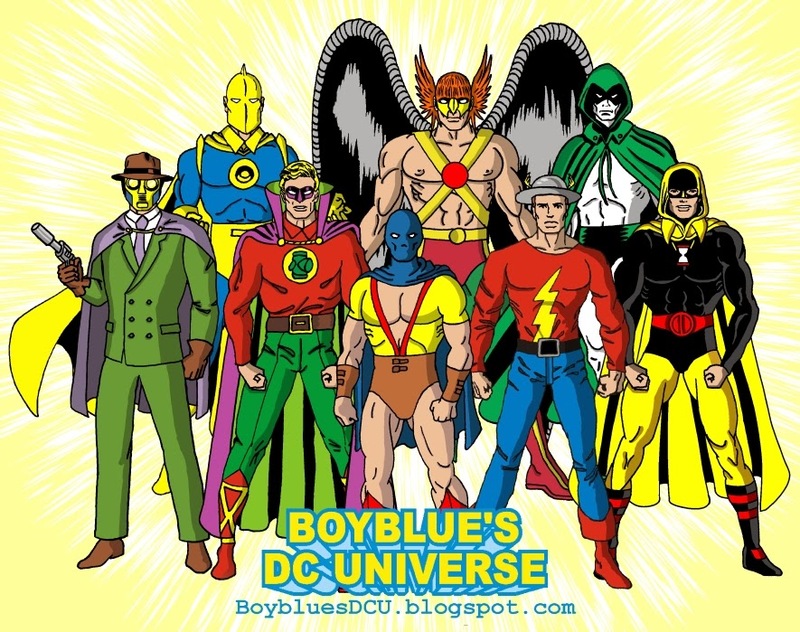 Dr. Midnite, Black Canary, Green Lantern, Hawkman, Wonder Woman, the Flash, and the Atom. 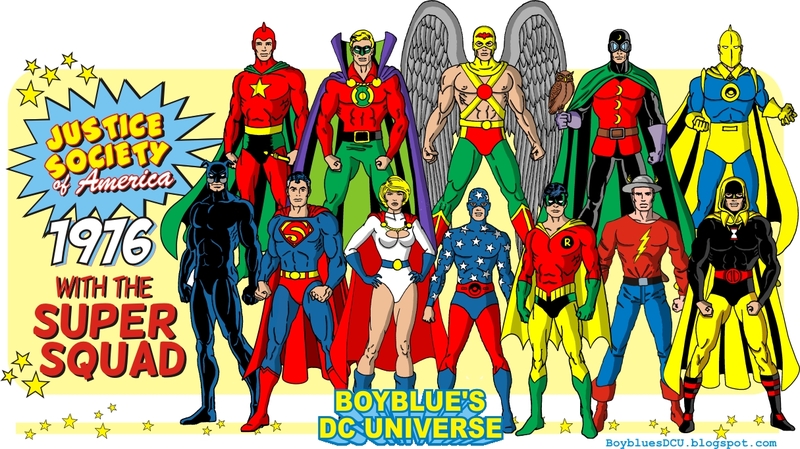 The JSA characters that appeared in Justice League of America until All-Star Comics has been revived. The JSA in the 1970s when Power Girl, Star Spangled Kid and Robin joined as the Super Squad. The JSA after the death of Batman in 1979. I like this team. I wish the New 52 hadn't retconned their past away. Are you going to add a 40s style Wonder Woman? I came across your blog and want to say THANK YOU for sharing these fantastic images. As a kid I loved the Legion of Superheroes and Aquaman. Your blog brings back so many great memories. Thank you Mark! I'm very glad you like it! !